This is light lilac in colour with greenish coloured glitter scattered throughout for sparkling nails. Looks great on feet as well as hands. Works using most ratios of liquid to powder but we like a 2:1 liquid to powder. Apply a very thin layer on the nail and build in strength and structure over the top using clear acrylic or gel. 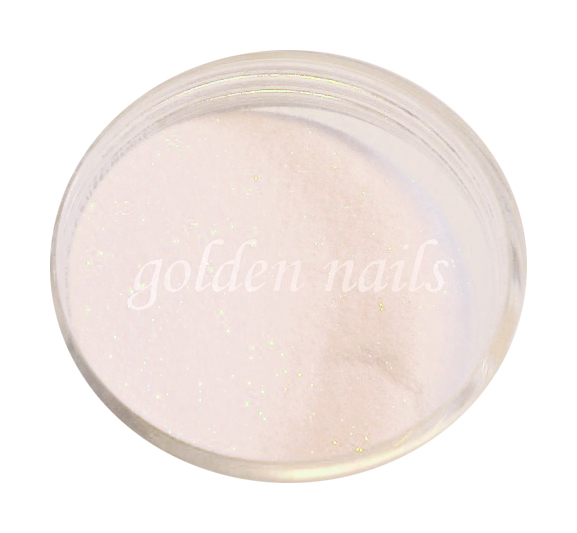 We do not recommend creating a nail solely using this powder as when it is filed it will lose it's fabulous look! Apply in exactly the same way as any other acrylic, i.e nail prep, primer etc. All Golden Nails acrylic powders work with all leading brands of acrylic liquids but for the best resoult use with Golden Nails acrylic liquid.